As a general dentist in Colorado Springs, our team at Four Seasons Dental Care remains committed to providing the very best in high-quality preventative dental care treatments. We want to be your Colorado Springs dentist, and we offer a comprehensive range of general dental care services designed to meet the oral health needs of the entire family. Whether you need a thorough cleaning and exam, fluoride treatments, or dental sealants, our team has the skill and experience to meet your individual needs. Your health matters, and to enjoy the best health possible, you need strong teeth and healthy gums. While you might think that your oral health only matters when it comes to eating, drinking or smiling, research has shown that oral health conditions like tooth decay and gum disease can also impact your overall health. Significant links have been found to exist between an individual’s oral health and his or her long-term risk of a variety of chronic diseases, including Alzheimer’s disease, stroke, heart disease, diabetes, obesity and even some forms of cancer. One of the most effective ways of lowering your risk of developing chronic disease is by protecting and improving your oral health. For the best oral health possible, the American Dental Association recommends brushing at least twice a day and flossing daily. The ADA also recommends scheduling regular dental exams and cleanings. Our experienced staff of dental hygienists at Four Seasons Dental Care. Regular checkups and exams provide Dr. Matt and Dr. James the opportunity to spot any potential signs of tooth decay or gum disease early on before the condition has a chance to develop. We will also perform an oral cancer screening as part of every exam. The early diagnosis and treatment of oral cancer is a vital part in helping to improve a patient’s chance of recovery. Dental cleanings provide our gentle staff of dental hygienists the chance to remove built-up deposits of plaque from below and along the surface of your gum line and teeth. Plaque ranks as the primary cause of tooth decay and gum disease, making plaque removal vital to protecting your long-term oral health. At Four Seasons Dental Care, we typically recommend patients schedule dental exams and cleanings once every six months. 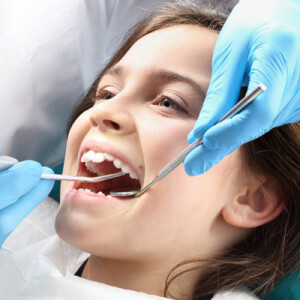 However, depending on the current state of a patient’s oral health, more frequent cleanings may be required. Don’t neglect your oral health by waiting until a problem develops before scheduling a visit to our Colorado Springs dentist’s office. 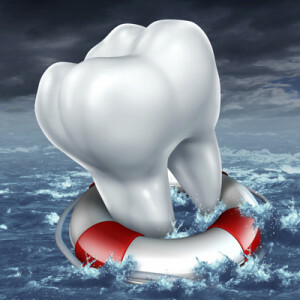 Take preventative action and protect your long-term oral and overall health. Your teeth rank as one the hardest and most resilient parts of your body. The hard outer layer of your teeth, called the enamel, provides your teeth the durability and resilience needed to survive a lifetime use. Unfortunately, certain types of oral bacteria produce harmful substances that can weaken or erode away your teeth’s enamel, exposing the delicate tissue and nerves inside. When tooth enamel becomes worn or cracked, you’re at a much higher risk for developing tooth decay and gum disease. Fluoride is a mineral naturally found in food and water that helps teeth become more resistant to the effects of oral bacteria and decay. Fluoride treatments help to strengthen tooth enamel and repair any damage caused by oral bacteria through a process known as remineralization. Once your teeth have been exposed to fluoride, they become even more resistant to harmful bacteria, making them less likely to suffer the effects of decay in the future. Typically applied to the back molars to help protect teeth from the harmful effects of decay, dental sealants make a great option for younger patients. 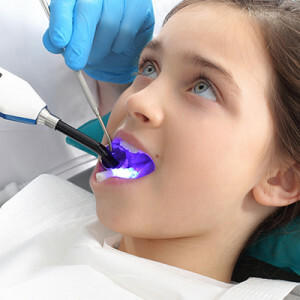 Teeth feature a lot of cracks and crevices that can be easily missed during brushing, especially by younger patients who don’t possess the dexterity or attention to detail necessary to adequately remove lingering food particles and bacteria from these hard to reach places of the mouth. A thin plastic coating, dental sealants “seal” away these hard-to-clean areas in the mouth from the oral bacteria that causes tooth decay and cavities. Dental sealants are easily applied in just one visit and are durable enough to last several years before a reapplication is needed.